There are hundreds of nursing homes in the Atlanta metropolitan area. Many of them are staffed by dedicated employees who work hard to care for their residents. However, many of these facilities are run in a shoddy, negligent manner. And when they are, your loved ones can be victimized at a time in their lives when they deserve rest and the best possible care. Our Atlanta nursing home abuse attorneys can represent you if a family member has been hurt or killed as a result of negligence and misconduct in a nursing home. We have the experience, tenacity, and commitment necessary to help you and your family get the justice you deserve. If you live in the Atlanta, Augusta, Columbus, or surrounding areas of Georgia and you want to speak to our nursing home abuse lawyers about the mistreatment your loved one has received, please call Watkins, Lourie, Roll & Chance, PC today at 404-760-7400for a free consultation. When thinking about nursing home abuse, we often think in just those terms: about "abuse." However, the reality is that nursing home residents are in danger of more than just active physical abuse – you also have to worry about neglect from poorly trained and underpaid nursing home staff members. 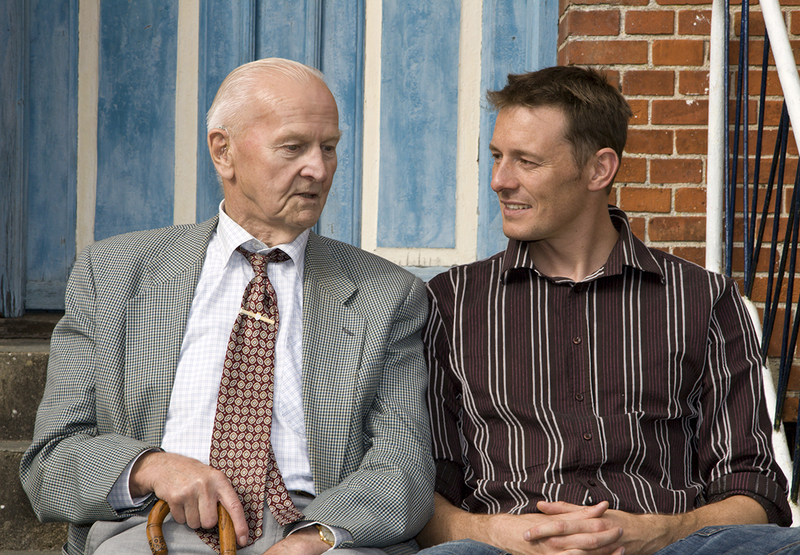 It is safe to assume that most nursing home employees try their best and behave with diligence and compassion. However, there are bad apples, and even the best employees can be undermined by profit-seeking administrators. What’s more, a growing number of nursing homes in Atlanta are part of far-flung corporate empires that oversee thousands of facilities across the country. Suffice it to say, this is not a recipe for quality care. Medical Malpractice – Normally, we tend to think of medical malpractice as a kind of pro-active error. A doctor nicks surrounding tissue during an operation or misdiagnoses an illness. And these types of things certainly (and tragically) happen in nursing homes. However, nursing home residents are also endangered by facilities trying to cut corners and costs, resulting in medical neglect that can injure or even kill these already vulnerable patients. Medication Errors – A type of medical malpractice, over or under medication, providing the wrong type of medication, and failing to watch for allergies or reactions can all result in serious harm to nursing home residents. In severe cases, this may result in a loss of life. 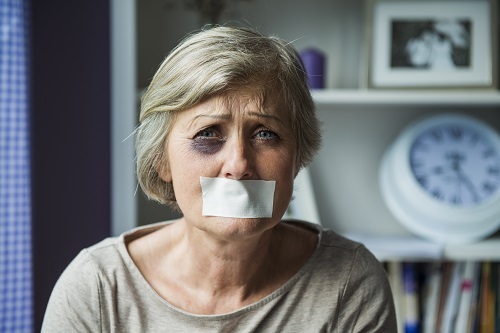 Physical Abuse – Physical abuse may include beating, pushing, tripping, cutting, burning, or in any other way physically abusing a nursing home resident. This type of abuse is criminal and should result in charges being filed, but victims and their families are entitled to take civil action and seek justice aside from criminal proceedings. Sexual Abuse – In a sexual abuse case, the abuser is obviously criminally responsible for his or actions. However, it's worth examining in more detail the role of the facility administration in these horrific cases. Administrators will often try and cut costs by hiring cheaply available applicants who lack necessary skills or, in extreme cases, even possess criminal records. And facilities are often under-staffed, which makes it easier for an abusive employee to continue exploiting a victim without being noticed. 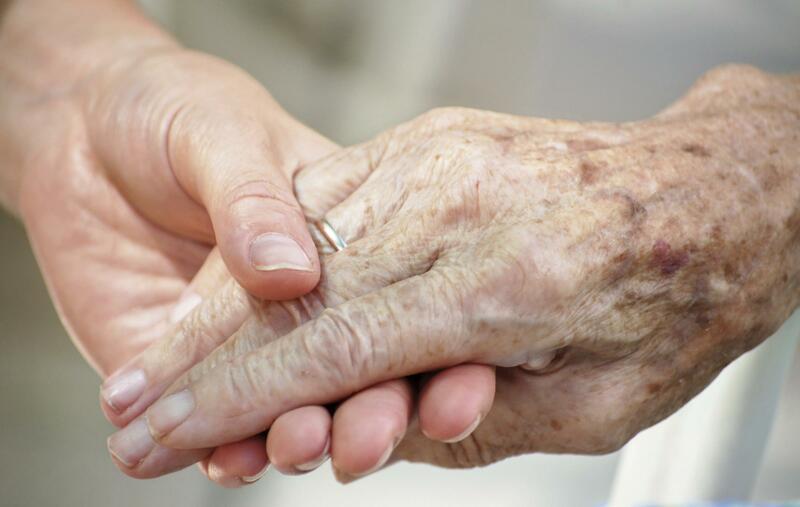 Shameful Neglect – When you entrusted your father, mother, grandfather or grandmother to the care of a long-term care facility, you rightfully expected that he or she would be treated according to acceptable standards of care. Unfortunately, many nursing home facilities lack properly trained staff or even proper staff levels. This often results in unsanitary conditions, viral and bacterial outbreaks, infection, parasite infestation, malnutrition, dehydration, and death. Pressure Ulcers – Also known as bed sores, pressure ulcers are one of the most common consequences of shameful neglect. When a resident is left lying in one position for lengthy periods of time, pressure placed on certain areas of the body can result in painful sores. Bed sores are a result of long-term immobility and may be linked to poor nutrition and general neglect as well. Left untreated, pressure ulcers may result in infection in the skin, bones, and joints. In extreme cases, bed sores may lead to sepsis and even death. Fall Injuries – Slip-and-fall injuries are among the most common in nursing homes and assisted living facilities, yet care providers routinely fail to protect patients from falls. Preventing these falls requires dedicated staff members who are willing to put in the effort required to monitor residents and keep them safe. Financial Exploitation and Fraud – Elderly nursing home residents are uniquely vulnerable to financial exploitation and manipulation. And because many of these residents lack significant financial resources, they are uniquely harmed by this exploitation. Nursing home employees are often poorly paid, and unethical staff members see their charges as supplemental income. They steal from residents and use physical and emotional manipulation to force residents to hand over credit card information, checking account numbers and cash. Tracking down all of the leads in these cases takes persistence, skill and experience. Our nursing home abuse lawyers possess all three traits in abundance. We understand how to perform the difficult work of finding and proving all forms of nursing home abuse and neglect, and we understand how to navigate the legal system on behalf of our clients. In some cases, residents of a nursing home will be frank about abuses they are suffering. Listen to your loved one and take appropriate action immediately if you suspect any form of mistreatment is occurring. The National Council on Aging (NCOA) reports that one in ten Americans over the age of 60 have been the victim of some form of nursing home abuse or neglect. Citing physical, sexual, and emotional abuse along with both willful and passive neglect, the NCOA further reports that men and women who are victims of mistreatment have a 300% higher risk of death than do those who have not been victims of abuse or neglect. There are many types of nursing home abuse that can lead to a loss of life. However, while some nursing home wrongful death cases involve physical mistreatment, a shocking number involve gross neglect as well. The process of death from neglect is slow and often painful. It can also be much harder to recognize than more obvious forms of mistreatment. Because they leave no marks, malnutrition, improper or inadequate medication, and other forms of elder neglect may go unnoticed by visiting loved ones – certainly much more than burns, lacerations, broken bones or bruises. Sadly, when neglect is the cause of wrongful death, evidence can easily be withheld by the care facility, leaving loved ones in the dark and without hope of recompense. 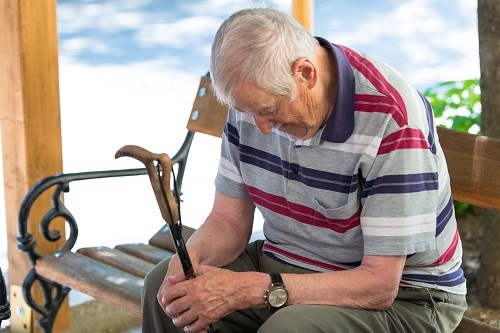 The nursing home abuse lawyers at our Atlanta law firm conduct full investigations into these cases to identify signs of mistreatment – including passive and intentional neglect – which can be very hard to prove. We know what to look for to strengthen nursing home wrongful death claims. We have the tenacity and resources necessary to expose those responsible and hold them accountable for the loss of your loved one’s life. We believe in justice for victims of elder abuse and neglect. We are here to represent your family and to help ensure justice is served. At Watkins, Lourie, Rolle & Chance, PC, we understand that legal action is a necessary response to a tragedy. It's not what anyone wants to happen. Doctors like to say that prevention is the best medicine, and that's also the case when it comes to nursing home abuse. The idea of “preventing” nursing home abuse might sound unrealistic. After all, if a facility employee is intent on abusing residents, how can that be prevented? The reality is that negligence is as much a problem as outright abuse. And negligence can be headed off through vigilance and a few simple steps. Researching potential facilities. The state of Georgia maintains an online database of all documented nursing homes here. This database contains a listing of all reports generated during inspections of these facilities. By searching these reports, you can get a sense of the quality of the facility. Online reviews are also useful for discovering the patient's view of a facility. Visit your loved one regularly. Nursing home residents can be made to feel alienated and disconnected from their family, which makes them more vulnerable to physical, financial and emotional abuse. Frequent visits forge a connection. Perhaps more importantly, they allow you to keep an eye on your loved one and spot any signs of abuse. Get to know the residents and administrators of the facility. Make yourself known. Acquaint yourself with other residents, especially your loved one's friends. Other residents are often more willing to disclose abuse and negligence than the victim himself. Of course, you can take every precaution and still find yourself with an abused or neglected loved one. Sometimes, even the most assiduous preparation will not protect your loved one. This isn't your fault. And it's not your loved one's fault. Negligence is never acceptable. Our Atlanta nursing home abuse lawyers understand this, and we believe passionately in fighting as hard as possible for the victims of abuse. The attorneys at Watkins, Lourie, Roll & Chance have decades of combined experience helping victims of nursing home abuse, and their families, get justice. Our top rated, highly respected and award-winning personal injury lawyers have secured numerous large settlements for victims of elder abuse and neglect and we are prepared to take your claim as far as needed to see that your loved one is protected against further mistreatment and your family is awarded every penny you are due. If you live in the Atlanta area and are in need of an experienced nursing home abuse attorney, call Watkins, Lourie, Roll & Chance at 404-760-7400 to schedule a free consultation today. We serve families living in Augusta, Columbus, Decatur, Savannah, and all surrounding Georgia communities.